Word Puzzle Game Lovers Rejoice! Put your wits to the test with 90 challenging puzzles! Play on Words - Awesome so much fun! Challenging - I love it! It's frustrating sometimes how hard the puzzles are and that's what makes this app perfect. 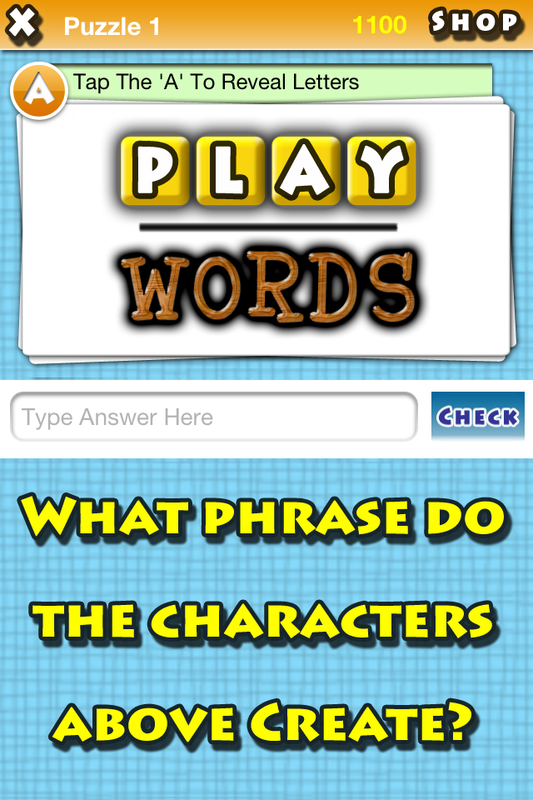 Words - Great app. I'm hooked on it. Fun and clever! - This is a really fun, challenging, and clever puzzle game that will have you using your brain like never before! Good luck!